* This version contains a low volume vocal guide to help you learn the song. The karaoke version without the vocal guide is available on www.karafun.com. 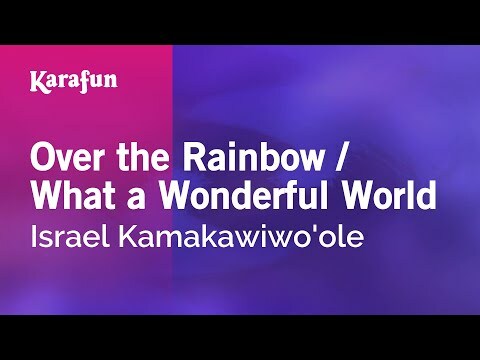 This recording is a cover of Over The Rainbow / What A Wonderful World as made famous by Israel Kamakawiwo'ole - This version is not the original version, and is not performed by Israel Kamakawiwo'ole. This instrumental/playback version contains a vocal guide, the lyrics and backing vocals. All the assets on KaraFun channels are used by permission under licensing agreement with rights holders (music composition, sound re-recording).